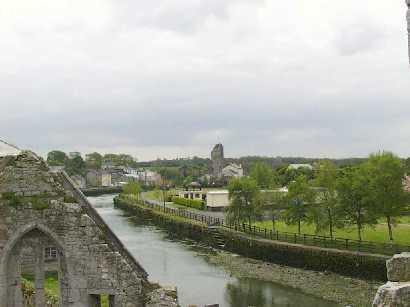 The town of Askeaton is situated just off the N69 from Limerick to Tralee on the R518. Three miles to the north of Askeaton lies the village of Ballysteen, which is the other half of the parish. The parish of Askeaton-Ballysteen is made up of the old parishes of Askeaton, Iverus, Lismakeery and Tomdeely. The present population of the parish of Askeaton/Ballysteen is around 2,300 people. Askeaton parish today: Click here to go to the Askeaton parish website.